An elderly man has died following a single vehicle collision involving his pedal cycle in Blyth. The incident happened near the roundabout at the A1 near Bawtry Road, at about 7.30pm on Wednesday, January 30. 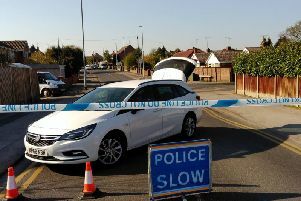 East Midlands Ambulance Service and Nottinghamshire Police were at the scene, and unfortunately the 78-year-old man died. The police has appealed for witnesses or anyone with dashcam footage to come forward. A spokesman for Nottinghamshire Police said: “We were called to the A1 Bawtry Road at around 7.30pm on Wednesday by colleagues from the East Midlands Ambulance service. “Sadly, the 78-year-old man died at the scene. “If anyone witnessed this incident or has dashcam footage, please contact us on 101 and quote incident number 759 of January 30 2019.